Oracle CPQ Cloud (Configure, Price, and Quote) helps you sell faster, easier, and with greater accuracy—from anywhere. Work for Oracle CPQ Cloud (BigMachines)? Learning about Oracle CPQ Cloud? I like the flexibility of the way that the upload process while quoting. As we do not store any products in CPQ (yet) using the CSV upload process is seemless. I dislike the inflexibility of how the quote process works once data is uploaded. This may be tied to how we implemented and how out business works, but in talking to CPQ, it does not sound like it. I would recommedn to fully think and lay out all possible use case scenarios. We do love our CPQ installation, but did make several large enhancements after we went live versus mapping this out for UAT testing before going live. We were looking for a new quoting platform to move away from enterprise Excel as we needed the ability to track and manage quotes which we did not have before. While many benefits have been recognized, the biggest is our ability to create accurate forecasts as well as predict business and product patterns. "Efficiency in the resolution of sales processes much easier"
It is an incredible software, it adapts to all my work needs, I can integrate all Oracle packages and programs that together help a lot to solve any work management. Significantly represents a great editor where I can manage sales data, configuring everything in a much simpler way, maintaining the same logic of the trade, but handling much better many complex formulas. The tools are very complete and the functionality of them is excellent. However, it can be a little complex to understand in general how to start handling the product correctly. Little by little I understood correctly the step by step of the work management, where I understood, that each characteristic is equivalent to something logical and representative of the process; everything together makes complex but very necessary tools. I would like there to be a demo at the beginning so that it shows step by step the proper functioning of all the tools. It is an advance to work with Oracle CPQ (BigMachines) is design and innovative edition, working with a quality of excellence, provided the ability to maintain a record in the information and sales management. It provides an analysis and modification of the data in a more simple way but maintaining the logic and versatility of the information but offering everything from a more visual perspective. I recommend that you try it and see how simple it is and the great benefits it brings. Now we have improved the efficiency processes and labor and sales management, where we apply better formalization and accuracy in business. We keep a constant and synchronized information thanks to Oracle CPQ, since we store everything in a single space. We keep the sales data updated with new information, where you can progressively track each progress; Accessing all this information is easier for any person in the work group because we keep everything stored in the cloud, which is easy to access. Thanks to this we improved the communication and saved us like that, a lot of work time invested. "Key Piece of our Technology Transformation"
The ability to combine all of the product, pricing, and contract process into a single tool which is helping us consolidate a lot of manual tools and processes in order to drive sales process efficiency. Some enhancements are needed to make Doc Designer even more powerful in the contract generation area. Being able to build and maintain contract templates is somewhat complicated and interacting with our Legal team is sometimes confusing based on their primary use of MS Word. Oracle CPQ is a key part of an integrated technology platform to enable a more efficient sales process. Identifying the key data elements (product, pricing, and contracting) is an important design step and understanding how sales and sales support function will use the tool are key change management components. For the statement of work section, you can just copy and paste directly from a document (or the standard copy and paste function). You need to copy something, then hit the paste from word button, then it seems to only paste it in plain text and the formatting comes out really awkward a lot of the time. Well it is quite concise and easy to work with when you are aware of what each button does and so it also requires a bit of technical know how but this is simply the way CRM systems work anywhere I suppose. The software is at time unresponsive and this slows productivity to an occasional full stop which is a bit annoying at times. Furthermore, I find that it also quite slow when replying to basic inquiries and even simple clicks. For this reason and several more, I am hard pressed to be able to recommend this software to other people. I would gladly suggest SAP over Oracle in this regard. I would recommend looking around for other solutions unless you are set on using Oracle products to begin with. Well we use the software to coordinate all our systems across the globe to manage our databases and meet customer relationship management needs. It is certainly not a perfect system but it is one that works well for the time being. "Good for Functional use, could do a lot better with UX "
The customizability, people who are developers like I can easily write code and extend the core functionality to do different things a customer asks. The document builder is somewhat modern and more often than not it would solve the customer needs. The formula management is also a great feature and has lot of promise. The price cases of customers generally involve automation and manual edits. Very very hard to use, reporting and analytics capabilities are far from ideal. The feedback loop and documentation can be a little better, especially with respect to learning management system. Training and clear picture of CPQ goals , one should understand the role of the executive sponsor for any enterprise undertaking. Make the consulting firm you work with your partner ask for all the cases. Dont be satisfied with the answer "We will get to it in discovery". "Seamless Integration and Ease of Use"
Document generation systems need some work - Old Document Engine is very powerful, but not user friendly. Newer Document Designer is very user friendly, but lacks a number of features available in Document Engine. 1. CPQ Cloud has gone through some growing pains as part of BigMachines being acquired by Oracle. 2. Many people on the sales side of Oracle still aren't very aware of CPQ, and don't understand how it fits in the big picture. 3. CPQ Cloud is in serious need of a UI update, but that is in the works for upcoming releases. I believe Oracle CPQ Cloud would be a useful tool for any company that quotes and sells a product or service. The flexibility and power of the system are such that it can handle any magnitude of users, quote size, or business rule complexity. Unless the business is very straightforward and quote generation and business rules are very simple, CPQ Cloud would likely be a good fit. Oracle CPQ Cloud is being used to provide our channel partners with a front end to configure products, get instant pricing, produce quotation documents, produce product drawings and link to product specification sheets. This information is provided to them in minutes instead of hours making our company easier to do business with. It is being rolled out systematically to our principal customers. Oracle CPQ Cloud allows me to produce accurate quotes in real-time, and provides a convenient electronic signature link for clients to execute an agreement quickly. If I need tweak pricing, or update product specific options I can do it without requiring assistance. The rules that support Oracle CPQ Cloud are not visible to the end-user, and it can be frustrating when I receive an error message outside of my knowledge of the system. Instead of troubleshooting myself, I need to work with an internal partner to address the issue. I am able to link new business with existing client information stored in my CRM Instead of submitting new sales orders and having to tie back to previous sales. This fluidity allows me to service the client quickly and drive the implementation/ product start date. "Flexible CPQ Solution for any platform any size"
Oracle CPQ is the best CPQ software that I can think of today when we consider having a solution which integrates not just with Oracle CRM but with any CRM and back end ERP tools. - I like the way Oracle has provided its own scripting language to further extend the platform to do things which are generally not possible with point and click. - Need ability to have Models within models. - Need ability to have a flexible array structure - Resizable columns, header colors should be different, collapsible. - Object Oriented approach - CPQ does not take a object oriented approach like all leading software in the industry making it difficult to administer as the table structure is pretty flat. Perform a good feasibility study of if this tool fits your requirements. I have implemented Oracle CPQ for multiple clients facing multiple business problems. 1. Acquisition growth - Built a flexible CPQ tool with product hierarchy aligned to allow future acquisition growth. Oracle CPQ's product hierarchy allows this. 2 Geographical harmonization - Build a CPQ tool which is more of less standard across the globe. Issues with some clients were locally grown CPQ/ excel tools which did not follow a standardized approach. 3. Reporting - Some clients lacked reporting capabilities around the quoting process. CPQ provides more in depth reporting capabilities allowing leadership get a closer look at the quoting process. CPQ has enabled us to create a cloud based product configurator for our customers to use. Customers can come to our site, configure products get instant pricing, get product specifications and customized drawings, and approve quotes (which will become orders). This is a recent implementation but with expert help from the Oracle consultants we have successfully launched it and look forward to the benefits of our company being easier to do business with. The system, implementation and ongoing consulting is a bit pricey. We are slowly absorbing the technical aspects to allow us to make our own modifications without the need for consulting. The system is capable of doing everything that we could want. Implementation consultants are very knowledgeable and picked up our business very quickly to be able to help implement. Make the company easier to do business with. We expect enhanced sales. Leveraged automation to minimize headcount costs despite 10% year-over-year business growth, and enabled staff to focus on more strategic tasks. Established a flexible CPQ system that scales on demand to easily accommodate the company’s multiple global locations. Improved customer relations by reducing configuration time and allowing sales more time to meet with customers and close orders. Enabled approximately 275 global sales professionals to reduce time to prepare complete, technically accurate quotes that include optional spare parts, field service estimates, and product brochures with equipment drawings—ensuring more consistent and professional quotes to customers. Reporting Manager needs a big update. We also use Oracle Engagement Cloud and we are pleased with the BI Reporting. CPQ reporting needs some work. Reduced time required for order entry and order review process, allowing sales to sell faster by guiding them to optimal product options and configurations, from simple to complex, for our measuring technology. "Turns legacy systems to legendary"
It has a robust architecture to support any business vertical and provides flexibility to integrate with and external system seamlessly through web services and REST APIs. CPQ adoption always requires consulting, understanding the product and implementing in house is far from reality. Great tool to adopt, but it requires right architect who can solution it as per your needs. It is very important that the consultant understands your business and solution the requirements aptly in CPQ. There have been many customers who ended up wrong implementations, though the product is excellent. For one of the customers I did the entire end to end implementation and production deployment. Their typical fastest sale used to be 28 days, after CPQ deployment the fastest sale from lead to order shipment was 20 hours. It solved many of the pricing and sales work flow issues. "Going forward Oracle CPQ is our company’s future both domestically and internationally!" The flexibility of the program! We realized we could run our business "right out of the box", but as we expanded we had the flexibility to modify the program with little effort. We tell our sales teams "Think outside the box, don't think about how we do it now, think about how you imagine it would work in the perfect world". By pushing this concept on our Sales teams we have been able to grow our business and provide our users with the tools they need to succeed. The Mission Statement of our Team is "Helping you work smarter, not harder!" There are only two things we don't like about the program: Reporting Manager and the archaic Text Editors. The Reporting Manager section of BigMachines (CPQ) is clumsy and does not provide us all the tools we need to dig into our reports. The charts, options, and flexibility are just not there yet. We make it work, and the information we can report on is a step above anything we had.............but for such a powerful program this area needs some serious work. The second dislike is the text editors. We live in 2016 and people are used to the ability to modify their verbiage like they do in outlook or MS Word. The text editors, that people use daily, are like using the primitive text editors that come standard on any computer. We would love the ability to have the same function and feel as MS Word. The product is amazing and has become the go-to tool for our sales teams domestically. The only down side, and really the only downside at the moment, is the ho-hum Reporting Manager. As a CPQ Program Manager I live inside the program and I wish the reports I generate daily where more detailed, and with more options. We are tying in all our departments (i.e. Sales, Projects, Engineering, etc., etc) into one system. Though we all share a common CRM program, the ability to use a common sales tool is very beneficial to our growth. in addition to all our departments, we also have the ability to tie in all our outside sales representatives as well...........which at the end of the day is a game changer. So far we have rolled this program out domestically with great success, and we are now in the process of rolling it out internationally..............which has its bumps in the road. "not as integrated as advertized"
Oracle CPQ is very flexible and has great features that were lacking in Oracle EBS. UI is very intuitive even for the novice user. I also like the way Oracle has also provided options to use script for scenarios that are not our of the box and can be used for processes that are specific to Capital equipment businesses. Our end users love the product since it reduced the reliance on IT and made them self-sufficient. Integration with backend ERP, and frontend CRM tools like Salesforce still needs some refinement. I would also like to see a better ABO feature to integrate and produce quotes for Service Contract renewals from current Asset/Install Base. Streamlined Sales process, and offered flexibility to accomodate most of the business scenarios out of the box. It is much more flexible and configurable as compared to previous generation of Oracle EBS product line (e.g. HTML Quoting, Advanced Pricing, and Configurator). "I Love Working on Big Machines"
Big Machines is dedicated to investing in all resource areas of the company in order to continue to improve ease of admin, customer support, software development, and hosting functionality. Some of the rapid developments for out of the box admin leads to legacy customizations not always functioning as expected. Lower levels of customer support often need to escalate cases involving legacy functionality to higher levels. A great tool for configuring, quoting, and turning quotes to orders for standardized products. Integration with some MRP systems require IT expertise. Admins need the knowledge of products and the flexibility to be willing to learn some programming. It is sometimes necessary to review customer support solution carefully when a case is resolved because their solution does not always solve the entire problem. Oracle is committed to continuous improvement of the tool and its customer support team. Homogenizer Product Selector and Configurator utilizing array attributes. Commerce process that restricts customer shipping options based upon customer ID and ship to ID. Special Discount Approval Process. "Oracle CPQ Administrator who likes the versatility and options the product allows"
Because of all the features, there are often many ways to get something done and the amount of options can be overwhelming to those who don't understand the product very well. Even working with this product full time, it took months to develop a good understanding of the architecture but now that I do, I think the developers did everything they could to architect it logically while allowing so many ways to use the product. We have been customers of BigMachines before it was acquired by Oracle. The vast hosting powers and resources that Oracle has added to the product have kept BigMachines improving and doing so quickly. 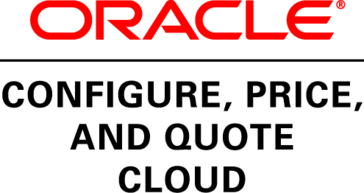 There are more impressive improvements coming in the next few releases and Oracle has been ramping up investment in this product and using it in house. The company I develop solutions for using this product has seen great benefits of standardizing customer quotes that were varied greatly between different sales people before. This variance was accentuated by the fact that multiple companies have been merged into ours and we have different US locations that would be hard to keep in sync without Oracle CPQ cloud. This has produced a professional and consistent quote with correct pricing anywhere in the world. Sales can access and use this from any device since it is web browser based. "Oracle CPQ Cloud - Bigger, Better, Stronger since Oracle Acquisition of BigMachines"
Incredibly flexible and powerful Commerce and Configuration engines can handle even the most complex product configurations and pricing structures. Easy to use UI based on simple logic for the easy parts and incredibly powerful and robust scripting engine for the hard parts. Powerful reporting functionality gives management easy tools for forecasting and to see market trends. Oracle clearly sees the value in the product and has invested heavily into it. Great improvements have been made in ease of use as well as the sheer power of the product and the product roadmap looks better and better all the time. Dynamic document creation is still a cumbersome process. New Document Designer is looking promising to greatly simplify this, though. If your company has complex product configurations, pricing structure, etc., Oracle CPQ Cloud can handle it. Oracle has invested heavily into the product since acquiring it. Much of the core BigMachines team is still with the company, helping to guide and shape the product. Each new release features significant improvements and support is top notch and getting even better. Streamlined sales process. All new equipment proposals are generated from CPQ, providing customers with consistent pricing and consistent proposal formatting. This has the additional benefit of giving total visibility of opportunities being quoted from the beginning for both internal and external sales teams. "Gets the job done well!" The features I appreciate most about oracle is that it is concise and easy to use. It comminucates necessary information across large companies and it is use friendly for managment and employees alike. What I dislike about Oracle is that it takes many verifacations and steps to acess even basic information. Scheduling is a really big component of oracle that is useful. It records availabilities and allows us to schedule accordingly. "CPQ - OCPQC / BigMachines"
BigMachines (Oracle CPQC) has a lot of features that make it so the average non-technical person can create some complex products and rules. I personally have been a huge fan of formulas. The editor is slick and appealing but also allows for some complex formulas without having to break the ol' brain bank. There's a ton of features like this that make it vertically independent and can service all types of companies and their products. Sometimes the super complex needs more customization within a proprietary code framework. I find it easy to understand and still solving the problems it needs to without overcomplicating it but I have a technical background. The main point I have here that I dislike is that its proprietary but hey, otherwise do that too. B2B ecommerce has never been easier. Being in multiple companies that sell complex products B2B, I can see how beneficial it is to a company to get a fast turnaround on quotes and ease of selling. There's no more long lead times or approvals when its all built in to 1 system. Oracle CPQ cloud is a great product in which you can implement the complex pricing logic very easily. The configuration and commerce are tightly coupled because of which chances of any errors are very less. It's integration with SFDC application is also flawless and proposal documents can be developed very easily. Now that Oracle is also coming up with lots of REST APIs for this product. It's integration with other application will be much more easier. There should be some better way of handling actions using scripting within CPQ. Now that these actions can be invoked using REST APIs etc, there should be some ways to trigger them within CPQ automatically like BML etc. It is being used to create Quotes/Proposals and to calculate the pricing for the retirement plans. "Work with Oracle and CPQ." Getting products entered and active in our system in a matter of minutes versus days. Sometimes the system can be slow and difficult to navigate. With our use of CPQ, it eliminates long work flow processes for certain items. With CPQ, it only takes us an hour to get an item active in Oracle instead of day or sometimes weeks with the regular work flow process. "Easy to use and implement "
The commerce part is very impressive. With the use of library functions/formulas almost any sort of complex requirements can be met. Document designer is also very impressive. Integration with other cloud applications such as Oracle sales cloud, Salesforce is easy. In configuration there is no availability of OOTB action buttons. Also the dynamic dropdowns (single select picklist) do not really fit for practical use. The tool is not overly intutiive for sales users and other functional groups accessing the tool. "Good for Functional use, could be better "
Very fast and allows to produce accurate quotes in real-time, and provides a conveniently electronic signature link for clients to execute an agreement faster. It’s very flexible and has excellent features. Low levels of customer support. Need to escalate cases involving legacy functionality to higher levels. New Features, Configuration Rules, flexibility of the product. Document Designer capabilities, pricing capabilities. User Interface need more flexibility in modifying the UI. Child assets cannot be modified separately and doesnot display in the asset page. It would be nice to have the integrations for ABO with the CRM system to show the assets under the account. "CPQ is an effective tool to curate new products, quotes, and ideas. " I really enjoy CPQ because it's easy to utilize/manage new products and you can easily upload products that were previously created. I personally don't like how sometimes it crashes. The user interface can be improved. Please make Oracle CPQ cloud interface more modern and up to date. Benefits of the program are that it can handle a large database of information. Can do multi-dimensional rating. We are an insurance company and routinely need to rate in 9 or more dimensions. Integrates very well with Salesforce. Not much. Could be a little easier to have have the business users (as opposed to IT) create the complicated rating structures. Rating is complicated. We switched form a table-driven approach using legacy software (AS/400) to using a formula-based approach with Big Machines. This is the way to go. We use it to rate our insurance products globally. "Oracle CPQ had provides the best CPQ tool that have seen including both flexability and ease of use." Oracle CPQ Cloud is easily configurable, it's very flexible to the needs of our business. The SalesForce integration is easy to work with. From the users standpoint it is great that it incorporates the ability to generate a proposal and/or contract without having to use a third party. Our corporation is subject to Sarbanes Oxley and pat of the restrictions applied are that developers are not permitted to have access to modify production code or configuration. Additionally we have administrators that regularly need to check data table data for accuracy or to troubleshoot. There is no way in Oracle CPQ to give an administrator, or developer, that needs to troubleshoot, read only access to the configuration or scripting. From a user standpoint the limitation on searching, views and reporting is an ongoing issue. Users are accustom to SalesForce.com where all fields are searchable and reportable and get frustrated that this is not the case in Oracle CPQ. For any solution chosen ensure that there is not just buy in from business leadership but also ownership level involvement from from line business users. Commit to full documentation and simplification of process prior to any development work. For Oracle CPQ in particular there are many ways to script and configure. Be sure to utilize the configuration options (workflow, validation, calculated fields) as much as possible and not over-script. Our business has very complex pricing and discounting models and we have been able to offer these options to the sales people to facilitate additional sales. Its State of the Art Quoting tool and our Sales users like it! User Interface (especially compared to OCC and SFDC). Hoping to get a better UI experience with Jet UI feature. Faster Quoting process. Seemless integration with SFDC, Professional looking proposals. Advanced Pricing capabilities. Good integration with EBS ERP on premise system. I work in service renewals and I think Oracle (bigMachines) is great. It pulls all the information I need for my quoting purposes. Sometimes the data isn't accurate, and takes a lot of workaround to get "cleaned up"
"Oracle CPQ is a complete solution for Sales professionals "
Oracle CPQ was selected among other top end CPQ products. The configuration of the product and customers was easy. The performance of the system was admirable and the ability to manage and configure price tiers was a differentiator. Oracle CPQ screens are configurable to user preferences. A slicker interface with pre-built integration to SFDC would have been beneficial. "A configuration tool is a must"
Requires too much "saving", and there are frequent bugs that can cause confusion/issues. It minimizes the need to manually produce a proposal. Likewise, when the situation arises for a one-call-close, I can quickly (under 5 minutes) create a proposal and order agreement to be signed on my tablet. Configuration is pretty easy to admin. The tool can be highly customized to meet the needs of different businesses. A lot of the customizations we have live deep in code and therefore are difficult to manage. Our implementation is already 7+ years old and therefore we are not able to easily take advantage of a lot of the updates made to the software. We use BigMachines to generate quotes for our end customers. Our sales team is able to use the tool to create a variety of sales documents as part of the sales process. We also take advantage of the workflow rules to route quotes through to different teams for input and/or approval. "A support impression of Oracle CPQ Cloud (Big Machines)"
At first, I thought the idea of supporting Oracle CPQ was going to be a daunting task but with the learn-as-you-go mentality that I've adhered to over 15 years of support experience, I picked up navigating Oracle CPQ with ease and understood its logic without issue. I appreciate how adaptable Oracle CPQ is to a dynamic business environment. Previous versions of Document Generator can be cumbersome to utilize. I have had issues in the past where documents did not save properly because the Document Generator screen was not showing me the most current saved files causing me to redo document edits. Consider the size of your organization and your overall product base when mulling over the decision to go with Oracle CPQ Cloud. Large organizations would find Oracle CPQ a great benefit to their operations. We have been able to streamline our ability to produce quotes effectively across several business units. The time it takes a rep to configure a quote and receive a final approval has been greatly diminished with the use of Oracle CPQ, lending itself to better client satisfaction as an end result. "Efficent usage for proposal creation." I like how customizable the product is. You have the ability to adjust the product to meet multiple different needs and can be utilized almost any way you want. The document generator is difficult to use. It is difficult to modify existing documents and the functionality is not well labeled. Make sure to have a solid business outline regarding your needs for Oracle CPQ. It would be easy to deviate from your planned structure given how customizable the product is. We have been able to combine multiple business units onto a single quote. We have been able to standardize the price quote configuration to be more consistent across business units. Oracle CPQ has allowed our company to develop quotes for clients in a quicker manner which leads to a shorter turn-around time to close deals. It has also allowed us to analyze our business processes to see where more efficiencies could be implemented. "A completely customizable Quoting system." CPQ Cloud gives us a completely customizable quoting system. It requires all Sales staff to provide accurate and consistent quotes to customers. The level of control is fantastic. We've added several approval triggers which require managers to approve quotes that don't meet requirements. Reports are also totally customizable. Probably not the best system for small businesses due to the labor of setup on top of the cost of the system and licensees. Solves the issues of providing our customers with accurate and consistent proposals. Steady improvement of features after the Oracle acquisition. Doc engine, util to util functions, mobile UI. Many more good things on the roadmap. Get your business engaged early so they can help envision the solution. OCPQ has many features and needs lots of visionary thought. Software renewals and customer self service are big challenges, but we have solutions implemented in Oracle CPQ and have plans to make improvements that consume new features. "Oracle CPQ Cloud - Configure, Process, Quote - Review"
Oracle CPQ Cloud is an extremely flexible and user-friendly environment, with outstanding integration capabilities. One of the areas that needs improvement is the Document Engine. I cannot say that I dislike Document Engine, but it can definitely be improved in both the GUI and functionality. Great Quoting tool, with integration capabilities. Easy to configure and use. Centralized Parts List with integration to the CRM system. Excellent adoption by the Sales Reps, because of quick, easy and error-free Quote creation. We have implemented Guided Selling Process. We have standardized and centralized our SKUs (Products). We have eliminated using Excel Spreadsheet as the Quoting tool. We have implemented integration between our CRM system and Oracle CPQ Cloud. We have standardized our Approval process. We have improved the look and feel of the Client facing documents. Great Configuration capabilities for variety of Product Model rules and constraints. Cloud Based with a Software as a service model. Does not provide much options for storage of documents and content in the application. Default user interface is not very intuitive. Its a great product if configured with best practices. It is one of the best CPQ products out in the market. It provides solutions to develop advanced product configuration complexities providing greater flexibility to build product models for varying customer needs. What I like best about the Oracle CPQ Cloud is that it scales a companies products accurately and timely so that making sales is efficient and easy when a customer orders. What I dislike about the software is that it takes a little while to get used to it. I recommend sales companies to consider purchasing this software. We are trying to control our sales operations from customer to purchase. "Fantastic C, P, and Q"
The user interface makes configuring our products a pleasure. Our cusomers love it! The initial setup for new configurations is a bit cumbersome, but it's worth it in the end. We are simplifying the configuration of our products which are quite complex. I like how much access and customization we have to the Oracle Cloud. We all have our own secure network which is great for productivity because it decreases latency and bandwidth issue’s in the workspace. sometimes when we all are accessing the cloud of the same network connection it’ll tell us there are to many connections being made from our IP4 address. productivity issues are the main things we solve using the oracle cloud. I like how quickly the program closes, and updates with changes while adding in Customer information. When there are several people on the program at once, it can take a while to save any updates. Learning about Oracle CPQ Cloud (BigMachines)? * We monitor all Oracle CPQ Cloud (BigMachines) reviews to prevent fraudulent reviews and keep review quality high. We do not post reviews by company employees or direct competitors. Validated reviews require the user to submit a screenshot of the product containing their user ID, in order to verify a user is an actual user of the product. Hi there! Are you looking to implement a solution like Oracle CPQ Cloud?